I love making bark. It's super easy to make, and super yummy too! I make it for all sorts of holidays and I usually use whatever I can find in the pantry - sprinkles, peanut butter, cookie butter, candies, etc. 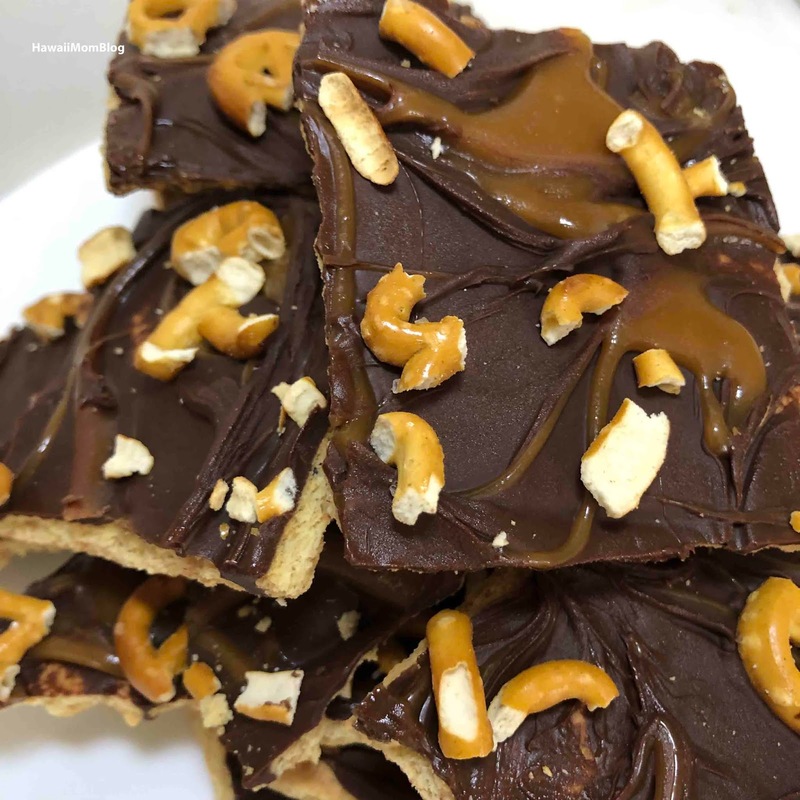 A recent last-minute get-together resulted in Salted Caramel Pretzel Bark. I used Sea Salted Caramels I bought in Wyoming and mini bags of pretzels we had on hand. 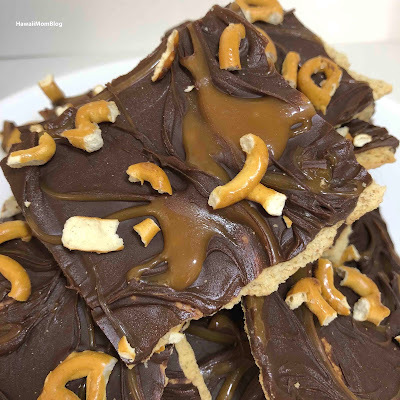 Simply place a layer of graham crackers on a parchment-lined cookie sheet, spread melted chocolate all over the graham crackers (I used 1 cup chocolate chips melted on high in the microwave for 1 minute), swirl the caramel into the chocolate (I melted 2 large caramel pieces - about 1/4 c worth; 30 seconds on high in the microwave), and sprinkled on pretzel pieces. I absolutely loved the sweet / salty combo!